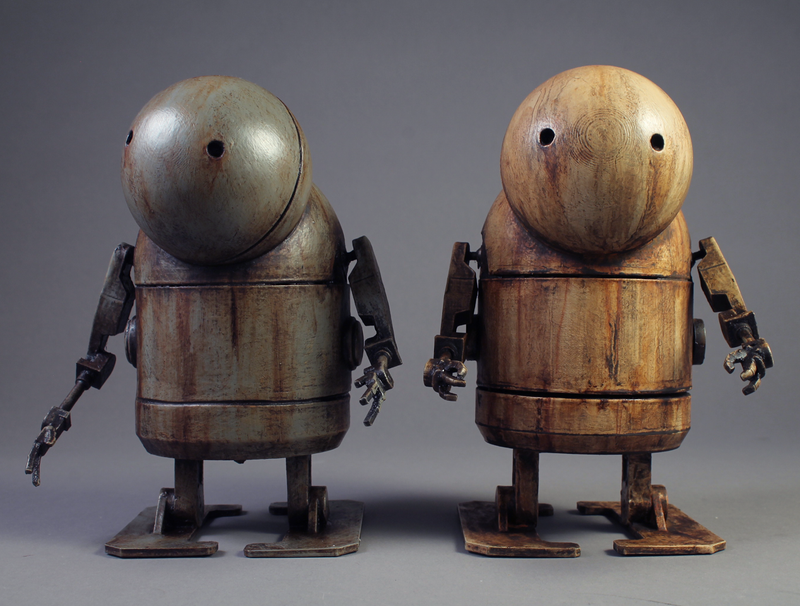 Model builder and Kotaku reader Kevin Derken, whose work we’ve featured on the site before, went and built himself a couple of replicas of the lil’ robots from Nier: Automata. These are built entirely from scratch. Kevin modelled the robots on his computer, 3D-printed them out, added a ball joint from a Gundam model to articulate the arms then painted them. For scale, their heads are around the size of tennis balls, while the whole model is about as big as a coffee mug. If you’re in NYC this weekend, Kevin’s going to be displaying the models (and a bunch of his other work) at the Five Points Festival.